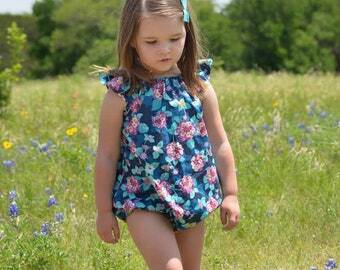 Girls spring romper. 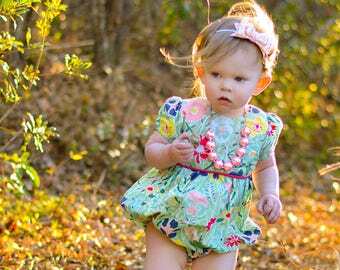 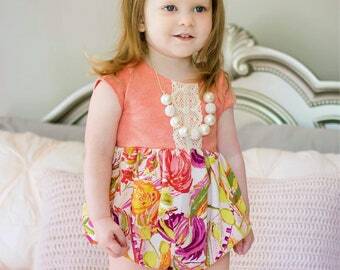 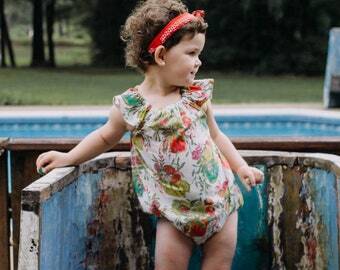 This gorgeous romper is the perfect addition to your little girl's spring wardrobe! 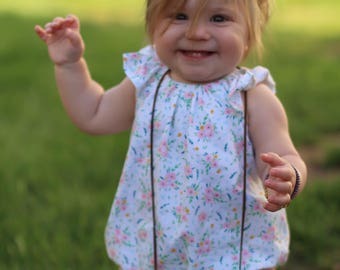 It features a sweet bunny print on the bodice. 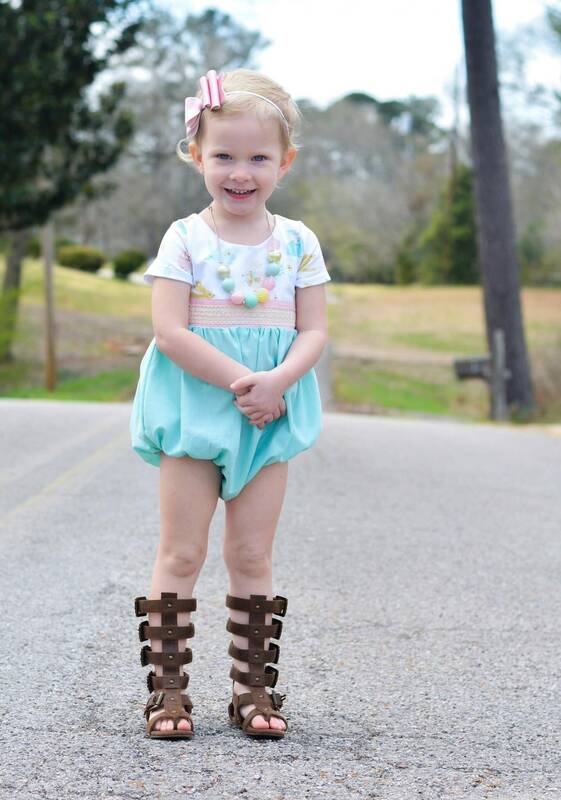 It would made a beautiful spring outfit. 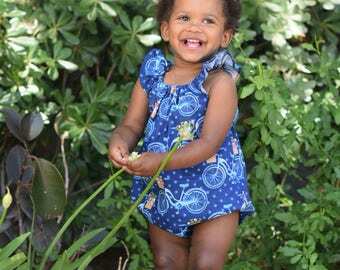 Bodice is made from a cotton/Lycra blend, and the bottom is made from 100% cotton chambray fabric. 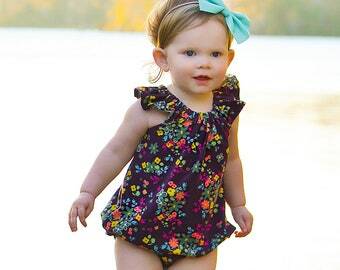 The romper has snaps at the bottom for easy dressing and easy diaper changes.